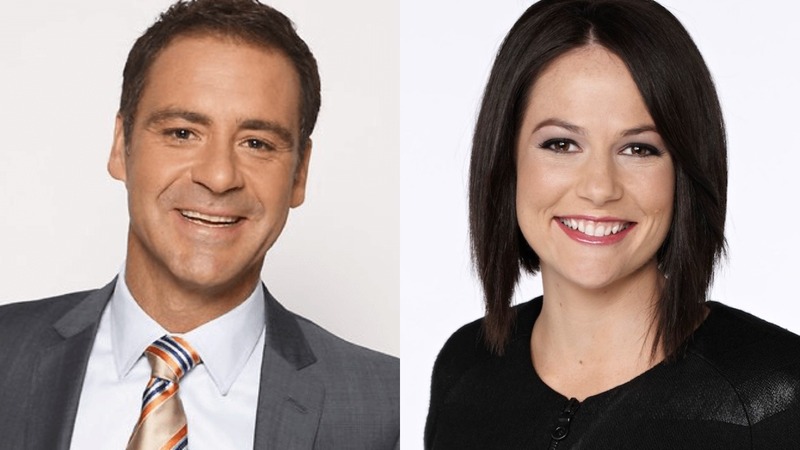 Triple M’s The Grill Team are taking a break for the next two weeks, with Andrew O’Keefe and Natasha Exelby (aka. ‘The Fill Team’) taking over on Breakfast. Former Network Ten Wake Up host Exelby has dabbled in radio over the past few years, having filled in for Brooklyn Ross on KIIS 106.5 Breakfast last year. She joins seasoned media personality O’Keefe for the next two weeks of Sydney’s Triple M Breakfast, on-air from 7am. In their first break this morning they chatted about Natasha’s ABC blooper that made her an internet sensation and also congratulated stable-mate Grant Denyer on his Gold Logie win. The Fill Team can be heard on Triple M Sydney Breakfast for the next two weeks, with The Grill Team back on July 16.